When it takes flight, clouds form. 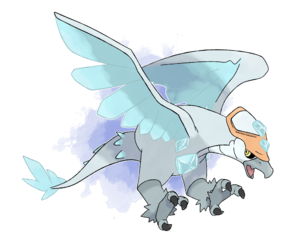 When it claps its wings, hail falls. 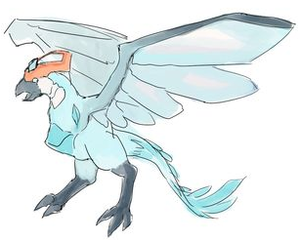 Eaglace, the Cirrus tuxemon, is a Water-type monster. Original design by Leo. Other art and name by DevilDman. Sprites by Levaine. Back sprite by Sanglorian. This page was last modified on 31 March 2019, at 10:35.